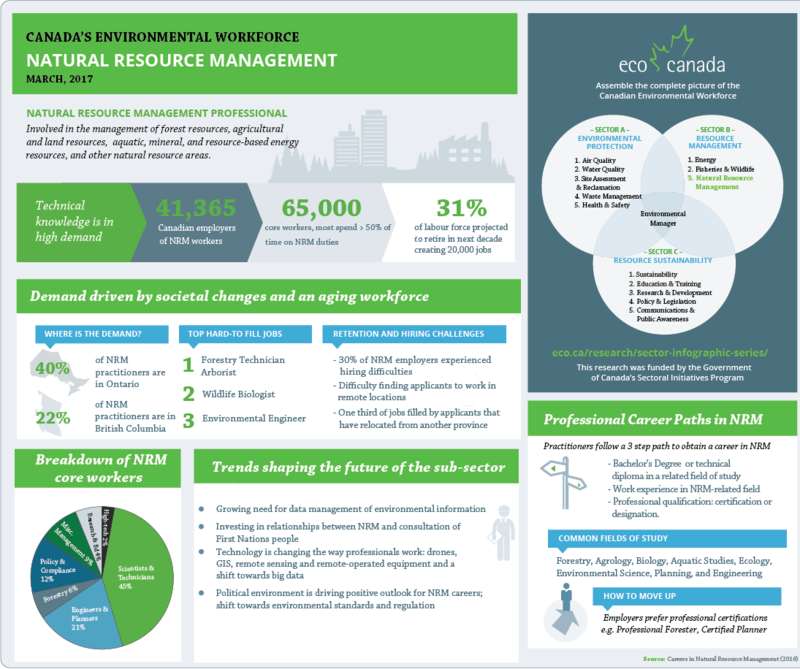 The combination of positive cycles of growth in the forestry sector, future resource project development, a supportive political environment, and growing environmental protection budgets for governments and companies are factors that are expected to result in job opportunities. 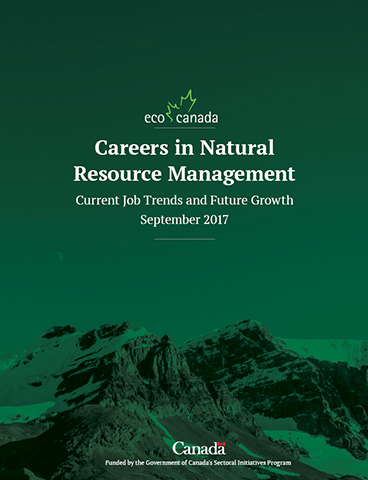 In 2015, approximately 2,000 employers posted 4,020 advertisements for job vacancies for Natural Resource Management professionals in Canada. In addition, 31% of employers in this field reported that they expect their overall employment to increase between 2015-2018.